These 3 free printable Valentines coloring pages will make any circus lover smile. They are Valentines Day coloring pages that could be used at home, school or given as a Valentine gift. 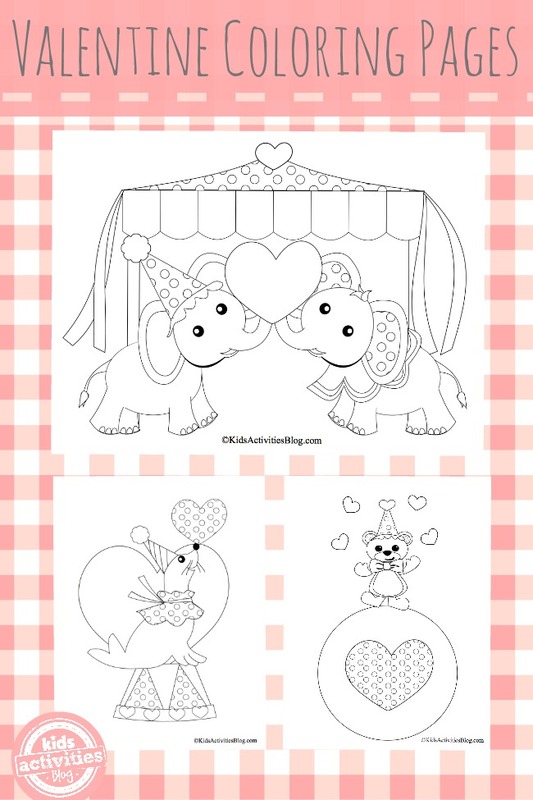 These three Valentines Day coloring pages are circus themed. The elephants are raising a heart, the bear is dancing on a large heart decorated ball while juggling more hearts, and the seal is balancing a polka-dot heart ball. Watch out soon because we will have another Valentines Coloring Page set! It is a Robot Valentine collection that is sure to please even the most non-mushy Valentine. Super cute! My kids love colouring! A great resource.